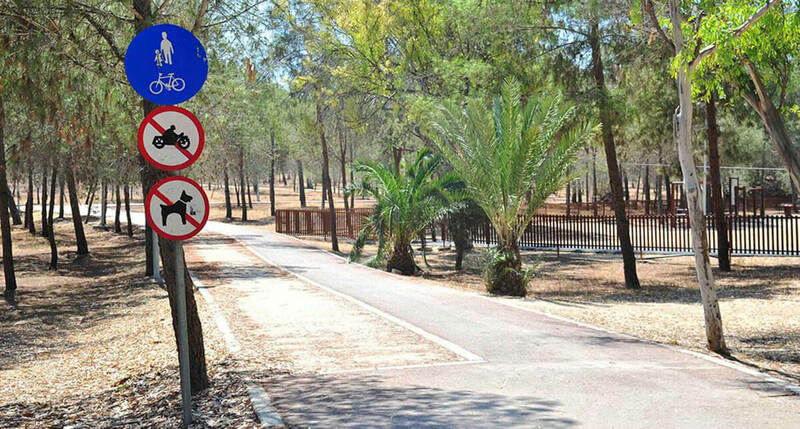 The Academy Picnic site is located 6 km from the center of Nicosia in the National Forest Park of the Pedagogical Academy. The picnic site sits at 140 meters and is rated for a max of 300 users. It’s a good place to spend a day, getting immersed in nature is always sure to make for a good time. The lighting of fire is allowed only in the barbecues provided. At certain picnic sites, like those at Asinou and Athalassa, no fire lighting is allowed. Before you leave the site make sure that the embers have entirely died down even if you have stored them in places which may have been designed especially for this purpose. The use of wood which is found in the forest for the lighting of fire and the cooking of food is not allowed. Every visitor should bring with him the necessary quantity of coals. Keep the place clean. Pick all the garbage which has resulted from the recreation of your group and put them in garbage bins or if they are full take the garbage with you. Do not leave it in plastic bags out because it is usually scattered by stray dogs, foxes etc. Do not create too much commotion with unnecessary noise, respect the other persons’ right to tranquility. Cutting plants, carving barks of trees and tampering with birds’ nests damage the environment and are prohibited by the forest legislation. Park your car at the parking places and not next to the tables. Use the water sparingly. Do not waste it. Urge other visitors also to observe the basic rules of conduct. If you notice a fire call immediately emergency number 1407 (24 hours free of charge). Rules from the Cyprus Department of Forests website. JustAboutCyprus.com is a participant in the Amazon Services LLC Associates Program, an affiliate advertising program designed to provide a means for sites to earn advertising fees by advertising and linking to Amazon.com. Amazon and the Amazon logo are trademarks of Amazon.com, Inc or its affiliates.